So everyone loves Poldark, or has heard about the current TV show? Perhaps everyone here in Cornwall has at least some kind of tenuous connection to the filming; I met him, or I saw her, or I got stuck in traffic behind the catering-van. Sometimes locals even get supporting actor roles. Watch out for Aiden’s Maidens, they are serious fans. My particular claim to fame is one day, on location, providing transport in 2016. You have to start somewhere! The point is it’s all so beautiful and popular and Cornwall plays a star role. There isn’t really one Poldark tour that can take in all the filming locations. This is because they are scattered all around the county of Cornwall. Shocking though it is, some of the locations are actually outside of Cornwall! Also, it seems that Winston Graham, author of the Poldark books was inspired by locations in Cornwall, but he didn’t necessarily confirm that this place is Namparra, or that place is the cove. Then TV came along, once in the 1970’s and again today. Therefore, what I think works best, is to combine one or two Poldark locations with other highlights weaving them into a tour. There are definitely some key Poldark places like the tin and copper mines. 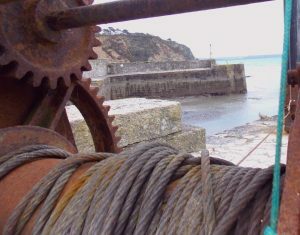 The mines at St Agnes have been used for filming and the location is amazing. 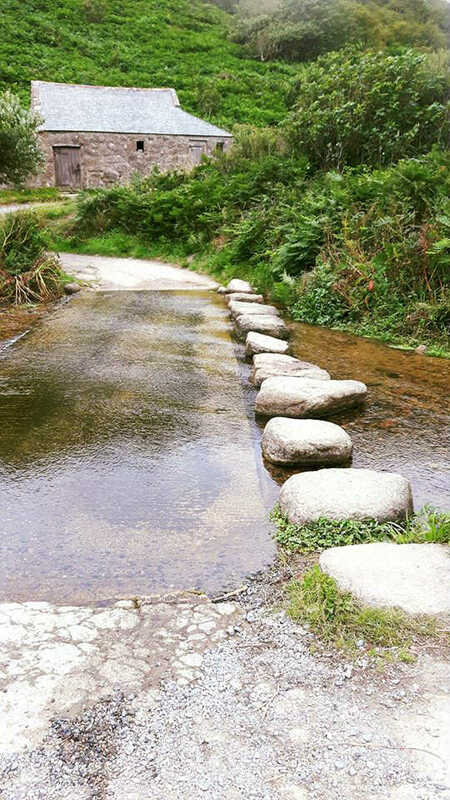 Visits here work well with a trip to The Lizard, or Truro, Roseland and the Rivers. 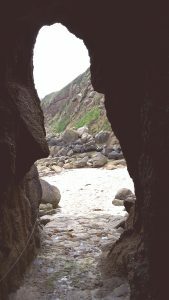 Another tin-mine location are the Crown Mines at Botallack. These appear restored and whole on the show, due to the Magic of CGI. Filming also takes place nearby at West Wheal Owles/Wheal Edward. The area has been branded The Tin Coast by the National Trust, who look after so much of this beautiful area, whether it is in or out of fashion. Nearby Levant mine, is also National Trust and has been used in Poldark filming. Levant boasts the only original steam engine still working in it’s original location. The engine was restored by a dedicated band of volunteers. It’s great that visits to the site have gone through the roof since the TV show took off. We can tour all of this area combined with other elements of The Far West Tour, e.g St Michael’s Mount and a little bit of prehistoric archaeology perhaps. Then there are the beaches, Stepper point near Padstow, Gunwalloe Cove with it’s sweet church (on The Lizard Tour). There are Holywell, Porthcurno, Kynance and more. The two I really like are Porthgwarra and Penberth Cove. Both of these were new to me when the filming started. Thanks to curious tour customers we sought them out. Now I sometimes pop in on a Far West Tour. Trerice house, is near Newquay and is a good combination with the St Agnes mines, for a tour. It was used in Poldark filming for the 1970’s show. 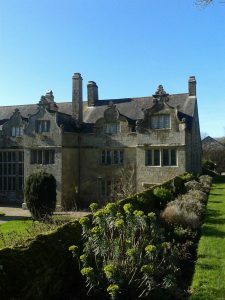 It does have a connection to Winston Graham’s original books, as a model for Trenwith, where the main family of the Poldarks lived. This is a National Trust property and formerly the Arundell family home. Sir John Arundell was a hero of the English Civil War. He bravely held onto Pendennis Castle (Falmouth) while besieged by Round-heads (1646). One of the last Royalist strongholds, when he finally surrendered, he and the remaining Royalist troupes were allowed to march out, with their honour intact and their flags flying. I love that story. Namparra and the Dr’s House are filmed in St Breward on Bodmin Moor, but they are privately owned and there is no public access. It doesn’t mean that we can’t visit St Breward church or it’s pub, or tour Bodmin Moor, including copper and tin-mines in the area. How Much is a Poldark Tour? Because the tour varies, it would be great if you contact me to let me know what you would like to include. Depending on how far we travel and how many are in your group, I can give you a cost.